The Ohio Local History Alliance is a network of local historical societies, history museums, archives, libraries, genealogical societies and historic preservation groups throughout Ohio involved in collecting, preserving and interpreting Ohio’s history. 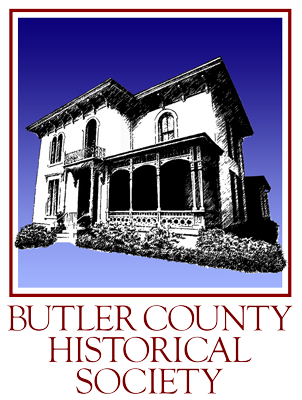 It is a partner of the Ohio History Connection and the only statewide organization for local history. Kathy Creighton, BCHS Executive Director, said she was delighted with the positive recognition of the society’s work. 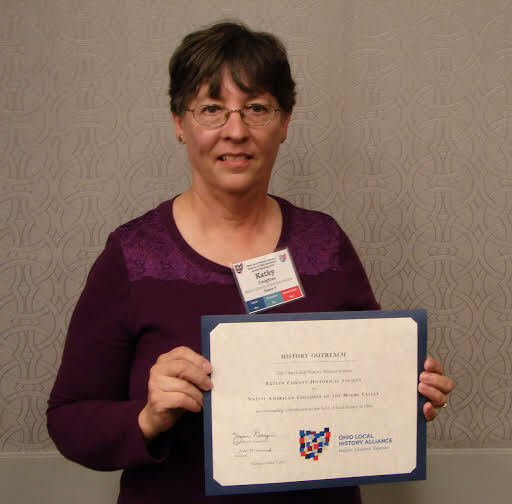 She said “the Alliance gave some awards for programs and some for exhibits but we were the only organization in our region of the state to receive an award for both programs and exhibits.” She indicated that the entire set of programs and exhibit were made with a budget of less than $1,775, plus staff and volunteer time. The “Native American Cultures of the Miami Valley” exhibition showcases the historical society’s comprehensive collection of Indian artifacts, some of which are 10,000 years old. The collection of more than 2,500 items is on display in the society’s lower exhibit area at 327 North 2nd Street, Hamilton. The exhibit is free to the public and is open from 10 a.m. to 3 p.m. Tuesdays, Thursdays and Fridays and from 10 a.m. to 1 p.m. Saturdays. Visitors can also see “Over There, Over Here: Butler County Stories of World War I,” the society’s newest year-long exhibit.